Oregon regulators’ plan to observe and inspect the coming outdoor cannabis harvest will inconvenience many growers, but some industry watchers conclude it shouldn’t be much of an added financial burden. The federal government – in particular, the U.S. attorney for Oregon – is scrutinizing Oregon’s MJ industry due to overproduction and potential diversion concerns. 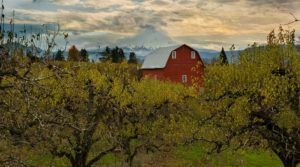 Outdoor growers must notify the Oregon Liquor Control Commission (OLCC), which regulates the state’s licensed cannabis market, before harvest so it can monitor crop gathering. Some growers are anxious the OLCC is already overburdened and behind schedule even before adding these new inspections. Scheduling the monitoring could prove tricky because growers often aren’t sure when they will harvest. Requiring outdoor cultivators to notify authorities about when they will harvest is an unusual move by state regulators and not common in the cannabis industry. The OLCC scheduled a public meeting for June 15 to discuss details of how it will require outdoor growers to notify the commission so regulators can send a representative to monitor the harvest. According to a news release, the agency has identified harvest “as an opportunity for diversion” and plans to require outdoor growers to notify regulators of five separate harvest dates 24 hours before the first planned harvest date. OLCC spokesman Mark Pettinger said the state hopes to hear constructive input from MJ executives at the hearing to “achieve the intended outcome” that’s good for the state’s industry. This comes as the OLCC recently announced it would halt processing of new recreational cannabis business licenses until next year at the earliest, effective June 15. The agency said it was backlogged and needed time to process the licenses it had already received. All of this is in response to concern at the federal level over too much cannabis production in the state. Billy Williams, the state’s U.S. attorney, has repeatedly called on regulators and law enforcement to take steps to prevent Oregon-grown cannabis from leaving the state. The OLCC’s Pettinger said nobody at the federal level is making a distinction between whether that marijuana is coming from the licensed or unlicensed market. However, one high-profile example, and a black eye on the legal market, was the arrest of Richard Wilkinson last November. Wilkinson, the owner of Portland-based cannabis extraction company Rich Extracts, was stopped in Lincoln, Nebraska, with a van full of marijuana products. The products were valued at $1.1 million. “We need to show the federally authorities we’re dealing with this in a serious manner,” Pettinger said. But one outdoor grower in Oregon doesn’t think the state’s plan will remedy the problem. “How is watching me harvest going to do anything for diversion?” asked Pete Gendron, president of the Oregon Sungrown Growers Guild. Gendron pointed out that outdoor growers in the state already have cameras with 90 days of video storage capacity running on their property to monitor crops. He also believes outdoor growers are being discriminated against. One concern is that growers typically aren’t sure when they will harvest. Each day they monitor the quality of the trichomes, the crystals on a cannabis flower, and then decide to harvest when they have turned a desired cloudy or amber hue. He watches his trichomes with a magnifying glass. “I may not even be able to tell you on Tuesday if I’m going to harvest on Wednesday,” Gendron added. The OLCC’s Pettinger said the state is aware of the situation and is willing to accommodate the growers’ needs. The state has 362 licensed outdoor growers. The fall harvest will likely occur in the span of a month, if not shorter. Pettinger declined to elaborate on how the state would inspect every cannabis farm during harvest, though he said the monitoring would be more like a spot inspection than a requirement that someone from the OLCC be present at every harvest. If an inspector isn’t onsite when a harvest occurs, a grower will be required to produce video of the harvest if the OLCC requests it. One question is whether this will create any additional costs to growers, including additional labor costs. According to Pettinger, while there may be some unforeseen costs, he doesn’t anticipate any huge added financial burden. “It’s more of a notification that we will then use to verify any activity as it’s reported into the cannabis tracking system,” he said. The state will be looking for any activity that would lead them to believe cannabis is being diverted to the illegal market, including skimming or improperly logged weights. But the details of how the growers will notify the state about harvest dates haven’t been ironed out. “We are serving notice to the industry that we are going to be poking around,” Pettinger said. Want to eliminate diversion? Reinstate the residency requirement. Then limit production licenses to one per person…or just don’t allow a person or entity to have an interest in more than one production license. Then allow rec dispensaries to have the same hours of operation as medical dispensaries and not have to close at 10pm. That will allow more cannabis in the Metrc system to be sold quickly. Try lowering the sales tax so we can compete better with lower prices too. All that tax money should allow plenty of money for OLCC regulation. They should be going after the illegal growers, not harassing the legal ones!! This whole exercise is ultimately useless and futile. By its very nature, demand will be satisfied until the black market is eliminated. The only way to do this is to legalize everywhere. Then price the black market out of existence. Otherwise, live with it. Puzzling, why would indoor be exempt? What tangled webs we weave as the feds insist on maintaining a thriving black market and profitable prison system. Legalize country wide and avoid this problem. Legal states shouldn’t suffer due to illegal state’s demand for weed. Where’s all the outlaw growers in those illegal states? We didn’t need weed from the east coast during “our” prohibition. So if every household has 4 plants your including these follks as well? Or just the medical growers ? And what about the patient grower his he required to subscribe to said law or is it only Medical grow of more than 12 plants and more than 2 folks ? Or is this for the recreational folks? Waiting for inspectors to harvest? People already go OCD when it comes to harvesting. Magnifiers and microscopes, waiting for what you hope is the perfect time to gather the fruits of your labours. Maybe the commercial folks don’t give a rip, and the quest to grow the finest herb and sacraments just isn’t in their thing. After battling the mites and munchers, the storms and drought, the state/feds add another burden. They have seed/clone to sale tracking that they don’t trust, incompetence abounds.